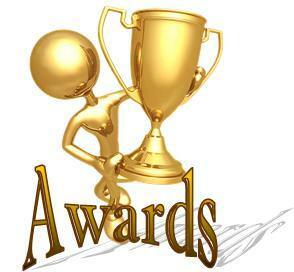 Each Club may submit ONE application for each award. Award Descriptions include points awarded by judges. Collect all this information with this paper form then fill in the Application above. Describe the activities/projects performed. Describe the Club Members’ level of activity (1-20 points). List the percentage of club members who participated in each listed activity/project (1-10 points). Resulting benefits: How did these activities/projects strengthen the club? (1-10 points). Banner and patch to 1st place winner, patch to 2nd place. Describe the large project accomplished. Describe the Club’s leading role and the role of each participating Club and/or Organization (1-20 points). List the percentage and number of Club Members who participated in the activity/project, and the total number of people working on the project (1-10 points). Resulting Benefit: How did this activity/project help the intended audience (1-10 points). Link to Supporting Video (up to three minutes) describing the project (1-10 points). Banner and patch to submitting club 1st place winner, patches to other participating clubs; patches to 2nd place clubs. List all Community Service activities/projects in which Club Members participated (1-20 points). Resulting Benefits to the Community (1-10 points awarded). Link to Supporting Video (up to three minutes) describing the project(s) (1-10 points). Describe the International activities/projects performed (1-20 points). List the percentage of Club Members who participated in the activity/project, and the total number people who participated in the project(s) (1-10 points). Resulting Benefit: How did this activity/project help others in the world (1-10 points). Link to Supporting Video (up to three minutes) describing the project(s) (1-10 point). Describe activities/projects your club did to feature Members’ professions in the community. Describe how Rotary’s ethical standards helped club members perform better in their jobs (1-20 points). List all Youth activities in which Club Members participate (1-20 points). List the percentage of club members who participated in each listed activity/project (1-10 points). List the total number of participating Youth. Resulting Benefits to Youth (1-10 points). Supporting Video to describe the project (1-10 points). Include two bulletins from the current Rotary year (1-20 points). Describe bulletin distribution beyond the club members (1-10 points). Resulting Benefits: How did the Bulletin benefit the club members (1-10 points). List your social media site address(es). List the number of posts that were added to your social media site in the past year. Sum all the “likes” the individual posts received over the past year (1-20 points). Give the percentage of your members that were involved in contributing. List the number of “Likes” your site has (1-10 points). Resulting Benefits: List the benefits to Rotary and your club of the publicity/awareness that was generated (1-10 points). List the web page address(es). Describe the web page, its content, and the frequency that its content is changed. What makes it better than other web pages? (1-20 points). List the percentage of your members that were involved in contributing (1-10 points). Resulting Benefits: List the benefits to Rotary and your club of the publicity/awareness that was generated. (1-10 points). List the benefits to Rotary, the District and/or your club. Supporting Material: Upload any two documents to support your candidate. Public Image: Recognizes the Club that best uses media platforms to promote awareness of Rotary and the work of Rotarians in the community and the world. Describe activities and media used to promote the awareness of Rotary and the work of Rotarians (1-20 points). List the percentage of members that were involved in developing/distributing the publicity. (1-10 points). Supporting Material: Include examples of the activities/media used by your club. (1-10 points). Club Attendance: Recognizes the Club with the highest percentage of membership attendance at Club Meetings. Based on timely Attendance Reports to the District Secretary. Banner and patch to 1st place winner. Certificates are also given to clubs that place 2nd, 3rd, and 4th. Conference Attendance: The Club (other than the Conference Host Club) with the largest number of Rotarians and Registered Guests (including Rotarian Spouses in other Clubs) attending District Conference. Banner and patch awarded to the Club having the largest number of Registrants. Patch awarded to the Club having the highest percentage of Registrants, measured by total club membership. Membership Growth: Recognizes the clubs having the highest net membership growth, measured in number or percentage. Based on timely membership updates in DACdb. Banner and patch to percentage winner, patch to highest net growth. The District Governor will announce the 110% Award Recipients at District Conference. The Assistant Governor will present the 110% Award Pin and Certificate at the Recipient’s Club meeting following District Conference. The Administrative Assistant Governor is responsible for managing the Award program.